Arcata – Humboldt State Vice President of Advancement Rob Gunsalus (on left above) has named Patrick Cleary, President of Lost Coast Communications, interim general manager of the University’s radio station, KHSU-FM, with immediate effect. In announcing the appointment August 18, Dr. Gunsalus said Cleary’s track record of consistent achievement in broadcasting, business, and community endeavors met the University’s criteria for KHSU ’s new leadership. "I believe it is imperative that KHSU have strong interim management," Gunsalus said at a campus news conference. "Day-to-day operations and the approaching October pledge drive require firm direction. Patrick’s appointment will enable station staff and volunteers to function at full strength. From today forward, underwriters can be assured of sound leadership as KHSU opens a new and promising chapter in its distinguished service to the Redwood Coast Community." Accepting the appointment, Cleary set two priorities. "Step one is to secure KHSU ’s financial stability, both short- and long-term," he said. "We must put the station’s financial house in order, to stem its losses and ensure its viability during a period of serious budget pressures on the state and the University." He said his second order of business is to buttress partnerships with current underwriters, recruit new ones and enlist expanded community support for the station. " 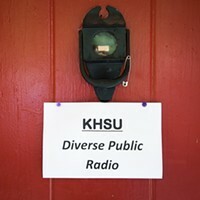 KHSU has many strengths," he said, "and it clearly has done a good job of building a large and passionate audience. Evaluation of the station’s program costs, which are climbing, must be handled professionally, taking into account community support as well as ratings." 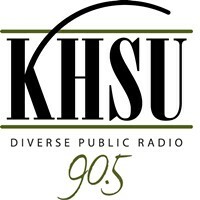 Cleary’s leadership of Lost Coast Communications, which operates three award-winning FM radio stations in the region, has pivoted on locally-originated programming. Prior to his arrival in Humboldt County in 1997, Cleary served on the board of directors of Act III Broadcasting, Icelandic Broadcasting Corporation and the Independence Broadcasting Corporation. He has 17 years of experience in finance in New York City and was successively vice president and managing director of Chase Manhattan Bank’s Media and Telecommunications Division.